If you are hit by a drunk driver in or near Pomona, it’s imperative to reach out to a Car Accident Lawyer in Pomona right away. Pomona is a college town, and drunk driving is a big concern. Insurance companies will often downplay DUI-related claims. The right car accident lawyers can help you get the compensation and care you need. AA Accident Attorneys is one of the most trusted personal injury firms in the area. Any time you’re behind the wheel of a moving vehicle, you run at least some risk of accident and injury. You may be the most careful and fastidious driver in the world, but you can’t account for the other motorists out there. Some might be distracted, reckless, or—worst of all—driving while under the influence of drugs or alcohol. Yes, the risk of being hit by a drunk driver is always present, and it goes without saying that the effects can be severe. For anyone who’s injured in a DUI-related accident, it’s imperative to seek the proper care, compensation, and legal guidance—and if you’re in Pomona, that means calling the car accident lawyers at AA Accident Attorneys. While drunk drivers are everywhere, those who live in Pomona are especially exposed. Part of that’s because Pomona is a college town. In fact, there are roughly 12 public and private colleges in the general area! None of these schools have reputations for being big party schools, necessarily, but the fact remains: Any time you have a high concentration of colleges in one area, the likelihood of drunk driving goes up. In 2016, roughly 8.4 percent of all car accidents were caused by college students. Now, it’s always possible that the drunk driver who hits you will have decent automobile insurance—but that’s not something you can count on. What’s more, most insurance companies will actually downplay or deny DUI cases involving students, simply because students tend to have skimpier insurance plans. In other words, if you ever are hit by a drunk driver in Pomona, you can’t necessarily count on the insurance company to cover the damages—which is why it pays to hire a car accident attorney. Why Hire a Pomona Car Accident Attorney? Basically, hiring a reputable car accident law firm, such as AA Accident Attorney, will ensure you enjoy the fullest protections and provisions of the law—even when the insurance company tries to deter you. Consider that, in the wake of a car accident, you’re bound to be a little shaken up. You may also be recovering from major physical injuries. In short, you won’t be in the right mindset to battle it out with an insurance company, something that can be incredibly difficult even on your best day. After all, insurance companies ultimately want to get out of paying their fair share whenever they can, and that might mean denying your claim outright or simply underpaying it. A good Pomona Car Accident Lawyer can fight the battle for you—making sure you get the compensation and care you require, and allowing you to simply focus on getting well. The bottom line: When you’re recovering from a collision with a drunk driver, you need all the help you can get—and the seasoned car accident lawyers at AA Accident Attorneys can provide it to you. If you ever do find yourself in a run-in with an intoxicated motorist, here are the basic steps you should follow. First things first: Check to make sure everyone is safe. Call an ambulance to the scene if needed. When possible, move your vehicle to a safe spot on the side of the road or the shoulder, minimizing the risk of further accidents. Call the police and ask them to come and fill out a report. This report will provide a meaningful baseline of fact for your insurance claim and/or legal case. Give the police your account of what happened, always telling the truth. Don’t ever apologize or accept any of the blame! Whether you think you are injured or not, always go see a doctor or check in at an urgent care facility ASAP. Call a car accident attorney to discuss the details of your case and to begin the process of negotiating with the insurance company. Never accept any money or cash any checks from the insurance company without first asking your car accident lawyer. It’s important to follow these steps closely, ensuring not only that you attend to your physical needs, but also that you leave yourself with a strong and persuasive legal case. Contact one of the car accident lawyers at AA Accident Attorneys if you have any questions. Why Choose the Car Accident Lawyers at AA Accident Attorneys? 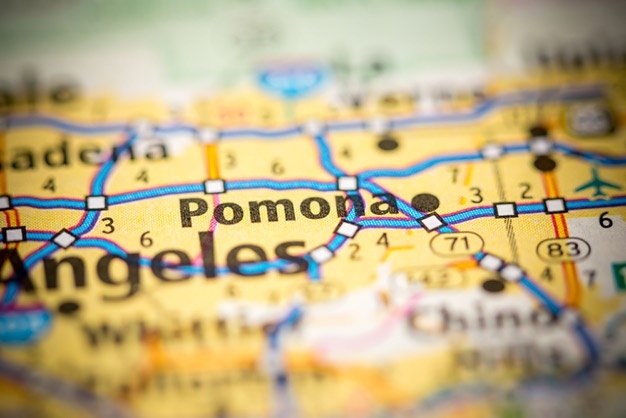 We are proud of our reputation as one of the most distinguished personal injury firms in the Pomona area—and there are several things that set us apart. We only represent those who have been injured. We never represent big companies or insurance agencies. Our attorneys are available around the clock; you can contact us in our Pomona office 24/7. AA Accident Attorneys will come to you! Our lawyers can meet with you at your house, in your workplace, or even in the hospital if need be. We are known for our skill in the courtroom. In fact, we have a courtroom win rate of about 98 percent, and have recovered more than $150,000,000 on behalf of our clients. We can advise you on how much your case is worth and walk you through all the steps along the way. Best of all, we only get paid if you get paid. That’s right: We will only bill you if we are able to collect that compensation for you. When you’re in an accident with a drunk driver, the experience can be disorienting. With the right legal counsel, though, you can get back on your feet again. If you or someone you know is in an accident in Pomona—especially one involving drunk drivers—reach out to AA Accident Attorneys right away.